Because of blogging on geek feminism, BlogHer, and Hack Ability, and doing a bunch of things at work, I haven’t said much here. It’s been weeks of verbal, verbal verbal, blogging and coding and talking. The feeling of too much looking at code is a lot like the feeling of having my head in poetry. It’s hard to come out of it and be articulate like a conversational human being again. It’s divine madness hanging out with the muses. Have some poems with my translations! acuso la nostalgia del bozal." “To do!” I blare, standing tall. If you grant that is a possible interpretation of the poem, what would you say it means? What is its feeling? What is opposed to what? What relationship do those two verses, those two stances, have to each other? Are they either/or? Are they one in response to another? Rosenman-Taub’s poems are puzzles, cryptograms, circular ruins. They itch at me. The language sticks into itself, words interfacing uncomfortably with each other, like burrs. The language of a mad philosopher-poet. It’s a How to Think manual, but not for Dummies. As some difficult novels function to teach the reader how to read (suspiciously, and circularly) these difficult short poems teach the poet all that difficulty in an alchemical crucible. Playfully – but dead serious. Here are two more translations of a single poem by him, “Jerarquía”. They’re fun! It is a mistake when translators translate an obscure word in one language to make it easier to understand in a new. I try to go with my judgement of how awkward, hard, stuck up, dusty, a word is. caliginous for example. I let it stand in this bullfight poem. los quioscos gilvos. La parca ¡No pares! ha escudriñado con garfio gemelo. Ya no se sabe quién es quien persigue. Like I said, a metaphysical bullfight. What a poem, interrupting itself! Now who knows who’s chasing who? It’s impossible to translate a poem like this literally and not screw it up. You have to know that it means something, settle on a meaning, on meanings battling, and hover over those meanings. “Don’t stop!” set off from the action and repeated I think here is perfectly timed, an abruption of what the poem means and who is speaking or thinking. Who is saying don’t stop? to who? We feel the audience – we are the audience of the bullfight and the dance, the fight is between the poet and the text, or the poet and the poem. Or the author exhorts us, familiarly – go on! Don’t stop! Or any number of any other beautiful air-castles of meaning. The poem turns midway through from a poem about a bullfight to a poem about ways of thinking and reasoning. I promised a poem or translation this week, to balance out the political posts. Here’s a couple of my translations of poems by Uruguayan poet María Eugenia Vaz Ferreira. They were published posthumously in 1924, though I am fairly sure they were published in Uruguayan or Argentinian magazines much earlier in the century. I’ve mentioned Vaz Ferreira a few times before in this blog, including a funny moment where I was irked at a critic: Damming with Faint Praise and No Space. This poem “Vaso Furtivo” was lovely to translate. If you read it over a few times, and let it sink in, or let yourself sink into it, you’ll begin to get what Vaz Ferreira was all about. y las brumas del olvido . . .
en cristales quebradizos . . .
and forgetting’s sea-mist . . .
in the most breakable glasses . . .
What could be more in tune with my own beliefs than this defiant celebration of ephemera! I worked hard to convey her floating and delicate line breaks. This translation of “Vaso furtivo” was published a couple of years ago in the journal Parthenon West. In the next poem, I felt that Vaz Ferreira was deliberately evoking Sappho. 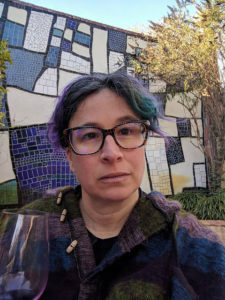 As many of her contemporary women poets did, Vaz Ferreira wrote about the ocean and dynamic chaos as essentially feminine. snow-white swan . . .
like rays of gold . . .
de níveo cisne . . .
sus cabelleras . . . Here is some background and commentary straight out of the enormous poetry anthology I compiled and translated a few years ago. (It was my thesis.) I had thought I’d send it around as a book proposal, and I put out some feelers. No one really wanted to take on an enormous anthology of poems of dubious copyright status from 14 different Latin American countries. Some of my translations from this book have been published in little magazines or online journals. Vaz Ferreira was a member of the “Generación del 1900” of Uruguayan intellectuals, which included José Enrique Rodó, Julio Herrera y Reissig, Ernestina Méndez Reissig de Narvaja, Florencio Sánchez, Samuel Blixen, Alberto Nin Frias, Horacio Quiroga, and Carlos Reyles (Verani 9). She began publishing in 1894. 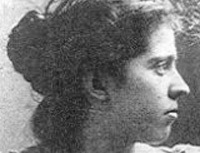 After her illness and death in 1924, her brother, who published her book, La isla de los cánticos, downplayed the friendship between María Eugenia and Delmira Agustini. In 1959, her unpublished poems were printed as La otra isla de los cánticos. Biographical notes on Vaz Ferreira often paint her as a frail, waiflike young maiden with a posthumous “slim volume of poems” who had a tragic illness before her early death (Jacquez Wieser 8). Her illness is sometimes alluded to as mental: Sidonia Rosenbaum implies that Vaz Ferreira, embittered by Delmira Agustini’s fame, lost her mind because of jealousy and a combination of caprice and frustrated, “sterile” sexuality (50). 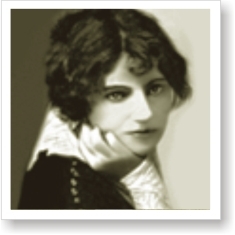 However, other sources emphasize her positive, charismatic qualities as a rebel, speaking of her literary and intellectual influence, her fondness for wearing men’s clothes, her shocking bohemian manners, and her notorious love of practical jokes. She was the first woman in Uruguay to fly in an airplane, in 1914, at the Fiesta Aérea, a public event. Juan Carlos Legido describes her as one of the most cultured, sure of herself, famous, and popular women in Montevideo’s social circles (Legido 6). She was a literature professor at the Women’s University of Montevideo, along with Dr. Clotilde Luisi. Vaz Ferreira was also a dramatist, composer and pianist. Her works were often performed at the Teatro Solís (Rubenstein Moreira 12). Vaz Ferreira was especially fond of Heine and other German poets and philosophers. The critic Alberto Zum Felde counted Vaz Fereirra among modernista writers, influenced by the Mexican writers Salvador Díaz Mirón and Manuel Gutiérrez Nájera (Rubenstein Moriera 46). 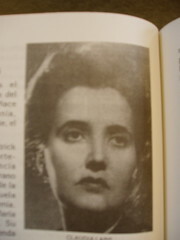 Anderson-Imbert, in Spanish American Literature, refers to her as “the nucleus of Uruguayan poetry” and of modernismo; then he calls her “a solitary voice, solemnly religious, although capable of creating sharp images on a high level” and goes on to discuss Julio Herrera y Reissig, “not a great poet . . .” for several pages. (Andersen-Imbert 279). The general pattern is for literary historians to call Vaz Ferreira’s work brilliant, and then to pay more attention to the work of poets who are men. Interesting “case” of a woman of letters, this Uruguayan, who despite the burden of being born in 1880, has in her verses all the free tone of a woman born right in the 20th century. A great lyric poet, with something of reflexivity and meditativeness at the same time, this woman is one of the finest poets that America has had, and perhaps her influence is the only one perceptible in Delmira Agustini, who surpasses her in passion and in going overboard with lyricism, but not does not surpass her in culture or sensitivity. My translation of the title of “Vaso furtivo” was a difficult choice. The poem is toasting and drinking to impermancence, lightness, madness, surfaces and illusion. “Sly toast” does not work in English, and “Furtive glass” does not convey the meaning of a toast. The poem itself celebrates qualities that have traditionally been attributed to women. Considered in this light, it is a radical feminist aesthetic statement. 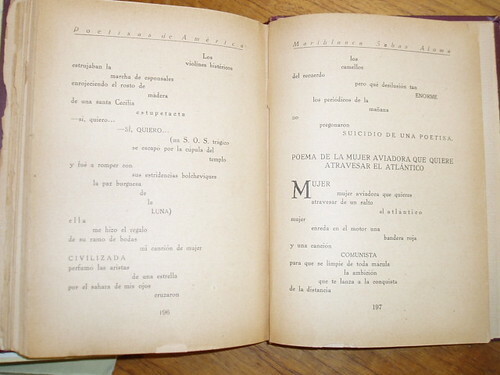 “Las ondinas,” a poem about the beauty of ocean waves at dawn, emphasizes feminine beauty, impermanence, and dynamic movement; Vaz Ferreira’s poems often celebrate an ethereal world of ideal beauty, writing modernista aesthetics from the viewpoint of a powerful woman, as in her poem “Yo soy la Diosa de las azules, diáfanas calmas” ‘I am the Goddess of all blue, diaphanous calm” (Vaz Ferreira, Otra isla, 57-58).